Another update has come out for the web preview, and it’s big! 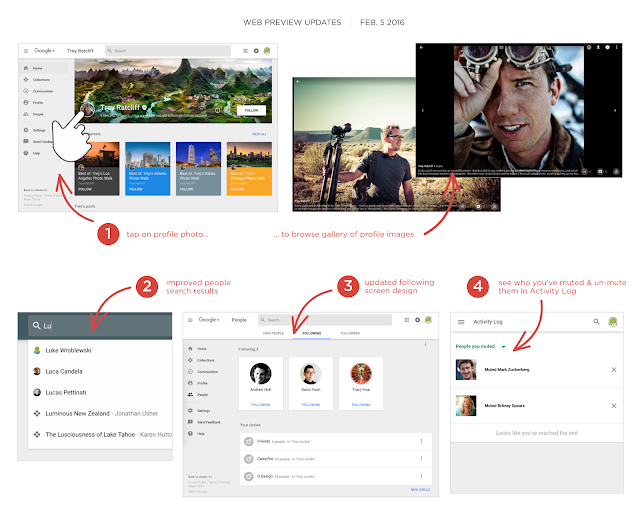 Since the release of the new Google+ back in November, lots of improvements and fixes have been coming out at a fast pace, to the delight of us G+ fans. This time, it’s no exception, so let’s jump in and see what this newest update brings. For starters, you can now view profile photos of a certain person or page in a full-screen gallery. To do this, click on the circular profile picture where you’ll then be taken to a lightbox, the same as what you’d see when viewing a post’s photo. If you want to find out who’s in your Following circle, you’ll now notice all the members, together with their profile images, laid out in grids across the screen. Although this saves from doing an extra click, I still miss the People layout in the classic Google+. It’s almost impossible to work on circle management in the new UI, no longer being able to drag and drop profiles and pages. 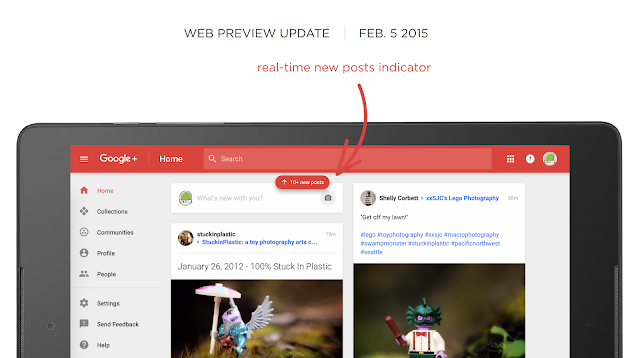 For now, it’s a step in the right direction, but I hope they’ll bring back the functionality of the old Google+. Apart from these, you now have improved people search results and 101 bug fixes. So if you’re still on the classic Google+, now might be a good time to take a second look at the web preview because you gotta admit, the new version keeps getting better with every update that comes out.